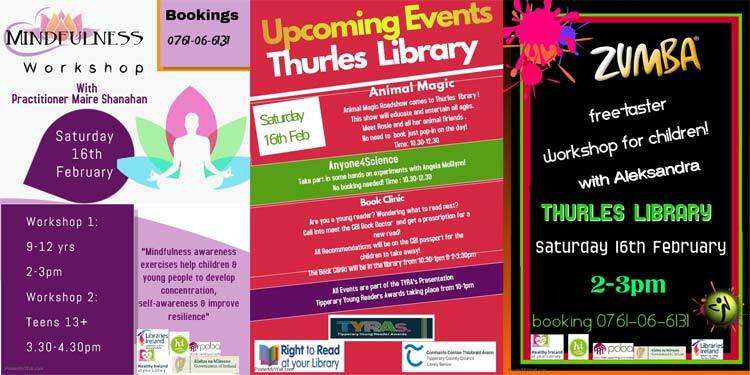 Three Upcoming Events At Thurles Library. Three exiting, new events will be happening shortly at Thurles Library, (situated in ‘The Source’ Building at Cathedral Street, in Thurles) over the coming weeks; each one worthy of note. Firstly, Please Note: In the case of all of these three upcoming, popular events; advance booking is essential, as space is limited. So please do make reservations, by contacting Tel No: 0761-06-6131. Wednesday April 24th: Thurles Library will invite you to “Spring Into StoryTime”. The theme for this event, beginning at 11.30am sharp, will be “Princess & Pirates” and Fancy Dress remains optional. Thursday May 2nd: “Art Session”, featuring local artist Mary Finn at Thurles Library. Mary will be holding her art session between 10:00am and 12:30pm. We Know You Will Enjoy. Spring Into Storytime At Thurles Library. 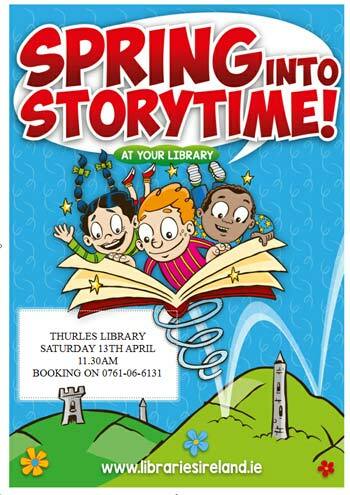 On Saturday April 13th next Thurles Library will “Spring into Storytime”. The event will begin sharp at 11.30am. Please do remember that for such enjoyable events, booking is always advisable, so do give us a call to Tel. No. 0761 – 06 – 6131. 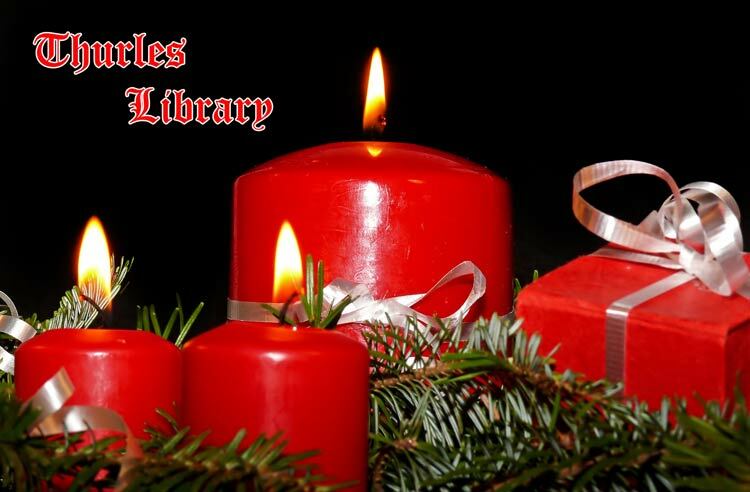 “The management and staff of Thurles Library would like to extend a warm invitation to all members / users of Thurles Library, to attend their annual ‘Christmas Coffee Morning’. This year, this most enjoyable of events, will take place in the Library, on Wednesday, 19th December 2018, from 11.00am. Children from Scoil Ailbhe will join us from 11.30am, to provide some wonderful Christmas carolling. We hope you can join us here for a coffee, a mince pie and share, as always, in some wonderful Christmas atmosphere! We would also like to take this opportunity to wish all of our readers a Merry Christmas and a very Happy New Year”. Date: Saturday September 15th. Time: 7.30p.m. 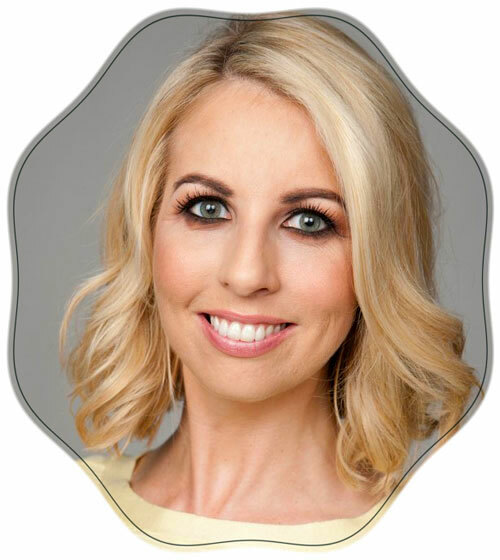 Tipperary Library will presents a 60-minute discussion with Ms. Caitríona Perry based on her publication – ‘In America: Tales from Trump Country’, which will take a look at the current political landscape of America, with particular reference to the businessman; television personality and current 45th President of the United States, latter who is expected to visit Ireland towards the end of this year. In the BBC news video shown above, our readers will remember that US President Mr Donald Trump was on the phone to our then newly-elected Irish Taoiseach, (Prime Minister), Mr Leo Varadkar, when RTE’s Washington correspondent, the very lovely Ms Caitríona Perry, caught his roving eye. This discussion will examine why and how President Donald Trump won the 2016 American election and whether he can succeed in getting re-elected for yet another term, again in 2020. The presentation will be followed by a ‘Question & Answer Session’ with her audience in attendance. Note Please: Advance booking is required, so do please contact the Source Box Office at Tel No:(0504) 90204. Special access and wheelchair users should also inform the box office, at the time of booking, that they may need accessibility seating. Remember the Date: – Saturday September 15th. Time: 7.30p.m. sharp.